Lady Gaga's new music video for “Born This Way” begins with a powerful creation myth. In a voiceover with eerie and dramatic space music, Gaga begins: “This is the manifesto of Mother Monster.” She then describes a birth of magnificent and magical proportions: it was the infinite birth of the mitosis of the future, infinite wombs giving birth to infinite new life—and it is eternal! It is the birth of a new race within the race of humanity, an evolution into a race that is without prejudice, without judgment, only boundless freedom. This is the birth from the Eternal Mother of the Multiverse. The choreography and special effects are marvelous, the costumes—naturally!—outrageously wonderful (and mostly scanty). Throughout the second half of the song, Gaga and a male partner are dressed as tuxedoed Day-of-the-Dead skeletons—celebrating the mortality that necessarily comes with being born in temporal flesh, perhaps. These are important principles that the gay liberation movement brings to the evolution of human consciousness: virtue comes from within us, not from obedience to rules that seek to curb human passions as though they were inherently evil. But, speaking of curbing evil, it’s interesting that the video begins with that creation myth in which duality—good and evil—co-arise together; and the Great Mother (armed with a machine gun) wonders how to protect the perfect without evil. That is, Evil exists in some way to protect the Good. They are not competing opposites, but cooperating forces. The myth of the Great Mother giving birth to the material universe is a common theme. In Babylonian mythology, the Cosmic Mother Tiamat gives birth to the universe from her infinite womb; she is slain by the hero Marduke and her body is fashioned into the world as we know it. From that same Babylonian/Persian — that is, Iranian — culture developed the religion of Zoroastrianism with its two opposing principles of Light and Dark (the gods Ahura Mazda and Angra Mainyu, Good and Evil). This dualistic religion influenced all of Western civilization. From this source came our notions of God and the Devil. Deeper then that the creation myth in Gaga’s song is the relationship between Good and Evil. In Grendel, the amazing little novel from the 1960s about the Beowulf-battling monster whom we all remember from high school English lit, Grendel pleads his own case, explaining that human beings need to believe in evil — monsters in the woods, for instance, werewolves and vampires, Hannibal Lecters and, I would add, “homosexuals,” etc. — so they can know where the village ends and the wilderness begins. Belief in the existence of evil out beyond the city wall gives assurance that things are safe here inside. I’ve personally taken Grendel’s self-description as a kind of mantra for gay consciousness. He calls himself an “earth-rim-roamer, shadow-shooter, walker-of-the-world’s-weird-wall.” Wall-walkers are able to see what’s on both sides of the wall. This is a very different kind of dualism than that of old-time religion: it’s not us-against-them / good-against-evil, but infinite, eternal life giving birth to itself magnificently and magically—ecologically, cooperatively, harmoniously. Lady Gaga’s song begins “This is the manifesto of Mother Monster”: Nature Herself is the monster. We will all die and become skeletons because we were born in mortal flesh. And God makes no mistakes: we were born this way. What a nice cosmology! The celebration of difference and diversity and variety among human lives furthers boundless freedom. And Lady Gaga certainly walks the world’s weird wall! 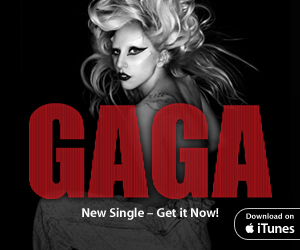 WATCH "BORN THIS WAY" AFTER THE JUMP BELOW! Help us spread LGBT-affirming inspiration! CLICK BELOW TO WATCH "BORN THIS WAY!" Truly growing up is a constant process of rebirthing yourself. We all protect ourselves with a shell - a story about who we are, how others see us, what we are capable of, and how the world works. We start creating these stories about ourselves early, based on what we learn from our parents and early childhood experiences. Our stories develop themes from our conclusions about the events of our lives, and these shadow beliefs constantly whisper that we are not worthy of love, happiness and success. With Born This Way, Lady Gaga encourages us to break out of our shells and claim a new story that serves our highest good. "Our stories have a purpose," explains Debbie Ford in The Secret of the Shadow . "Even though they set our limitations, they also help us define who we are so we don't feel completely lost in the world. Living inside them is like being inside a clear capsule. The thin transparent walls act like a shell that traps us inside. Even though we have the ability to gaze outside and view the world around us, we stay safely trapped inside, comfortable with the familiar terrain, bound by an inner knowing that no matter what we do, think, or say, we can go no further... In a desperate attempt to give our lives meaning, we create and then repeat our stories; and as we cling to who we think we are, we perpetuate our dramas." Lesbian, gay, bisexual, transgender, queer and questioning people are as addicted to our stories as anyone else. Because of the homophobic, heterosexist culture we grow up in, most LGBTQ people have victimhood, shame, and rejection in our stories. Screw that. We can burst out of our mental shells just like Gaga did at the Grammys. We can CHOOSE what story we believe. We can choose to believe that we are fully empowered, worthy, blessed and "born this way." We don't have to be anybody's victim. We can be SHAMELESS. We don't have to conform to anyone else's idea of who we should be; we don't have to conform to gay stereotypes any more than we have to conform to heteronormative culture and relationships. Once you wake up and recognize your story , you can choose to break out of your shell. When she was the spiritual leader at my church, Marianne Williamson told us that when it's time for a chick to be born, their egg's internal environment turns toxic - it fills up with gas and the chick has to break out or die. Being trapped inside your bad story feels the same way. Will you lead a life of quiet desperation and keep listening to your toxic internal dialogue, or break out - even though it's scary -and claim the life you want? "No matter what the problem is, our experiences are just outer effects of inner thoughts," Louse Hay explains in You Can Heal Your Life . "Even self-hatred is only hating a thought you have about yourself. You have a thought that says, 'I'm a bad person.' This thought produces a feeling, and you buy into the feeling. However, if you don't have the thought, you won't have the feeling. And thoughts can be changed. Change the thought, and the feeling must go." Lady Gaga burst out her shell wearing Thierry Mugler and armed to the teeth with fierce. She's our queer ATHENA, born full-grown and carrying weapons - the new pop goddess of justice, warfare and wisdom. She's ready to help you change your story, but you have to listen. Enjoy the dazzle, but don't be distracted by the sensationalism. Pay attention. Elton John calls Jesus a “super-intelligent gay man” in a new interview with Parade Magazine. The interview is getting tons of publicity, and fundamentalist Christians are already denouncing it. I promote the gay Jesus in my blog, books and website JesusInLove.org, so I’m pleased to hear Elton John saying that Jesus was gay. Maybe Elton John visited this blog! It’s important to present Jesus as gay in order to counteract Christian anti-gay hate and bigotry. The name of Jesus is being misused to justify hate and discrimination against GLBT people, but Jesus taught love for all. Written by lesbian Christian author Kittredge Cherry and cross-posted at the Jesus in Love Blog. She was at the forefront of the international debate on sexuality and spirituality as National Ecumenical Officer for Metropolitan Community Churches. Gay Christian pop duo Jason & deMarco want to make it big. I learned a few things when I watched "We're All Angels," a documentary film about the couple and the making of their recent album. WALK THE WALK. Jason is great at spontaneous prayer, and leads prayers during their concerts, but their professional Christianity is the only spiritual practice shown in "We're All Angels." It would have been nice to see the couple studying and praying together, attending churches where they weren't performing, working with a spiritual director, doing yoga, or meditating. It would have been nice to see them working on their spiritual development in their personal lives, too. I'm not suggesting that they don't, just that the documentary doesn't show it, which is unfortunate. Because I run MyOutSpirit.com, I talk about LGBT-affirming spiritual beliefs and practices all the time, but talking the talk is one thing. The film reminds me that I, too, need to be more open about walking the walk. DEMANDING DON'T DO IT. "We're All Angels" shows Jason & deMarco complaining quite a lot about how their music career isn't successful because of anti-gay discrimination from mainstream Christian pop culture. They have very definite ideas about what other people SHOULD be giving them. What the film doesn't show is Jason & deMarco taking action to GET what they want. The film doesn't show them approaching mainstream Christian magazines (Relevant, perhaps), music festivals (Greenbelt? ), conferences or churches in an attempt to build relationships that could open doors for them, professionally. Maybe they used to do that and gave up - Jason apparently had a mainstream Christian music career that fizzled when he came out - but one gets the impression that they just don't feel like they should have to work that hard. That, in a perfect world without discrimination, they'd be beloved by millions already. They could be right, but demanding that the Other give you what you think you deserve is never an effective tactic. It places you forever in a state of lack and disempowerment. It places the responsibility for change on someone else somewhere out there, when, in fact, the first person who has to change is you. "We're All Angels" reminds me to take 100% responsibility for my life and work. BOOTSTRAPPING TAKES BALLS. Don't get me wrong - Jason & deMarco are working their asses off! They are an unsigned act, which means they don't have a major record label fronting the costs for album production or promotional materials or tours. "We're All Angels" shows these guys traveling almost every weekend, performing in small LGBT-affirming churches all over the country. No entourage, no limos, no white lilies waiting in the hotel room - half the time, no decent sound system. But they don't give up. Even when they're frustrated and tired, they get on the plane and up on that tiny stage and sing their hearts out. Even when their own managers let them go, they keep moving forward to get the job done - pressing and shipping their own CDs. If there's a pro-gay picnic in the park, they'll show up and do their best to inspire the crowd. Humbly. Bravely. Honestly. Any entrepreneur out there will tell you how hard it can be. I can tell you, if you're not sure! But most entrepreneurs don't have to go through half of what Jason & deMarco go through. They work HARD, but because they're doing what they love - and each with the MAN he loves, at that - they seem to find a lot of joy in it. COMING OUT SPIRITUALLY SAVES LIVES. Most powerfully, "We're All Angels" reminds us how far we have to go. The film opens with Jason reading some of the emails Jason & deMarco receive from young gay Christians experiencing great inner conflict. The emails say how much their music helps. Their love helps. Their courage helps. Jason & deMarco have taken on the responsibility for a liberation movement. The power of their public presence as a gay Christian couple, singing praises to god and love songs to each other, helps people who might otherwise feel hopeless, stay closeted or commit suicide. That's a heavy duty when all you want is to be Christian pop stars, but Jason & deMarco seem to KNOW what they are, what they MEAN to people, and embrace and honor that responsibility. You know, as one cultivates one's spiritual perspicacity, it's easy to forget that there are always people just starting the journey. There are still people who wrestle with those fundamental early questions - most commonly, "I'm LGBT. How can I be sure that God loves me, too?" An acquaintance of mine committed suicide less than two weeks ago. He was 20 years old. There was no note, but the night before he hung himself in his closet, he asked a friend, "Do you think God lets gay people into Heaven?" Whatever tradition we come from, every self-actualized LGBT person shares that enormous responsibility with Jason & deMarco - to support, to shepherd, to witness and to love our LGBT sisters and brothers, wherever they are on their journeys. And, however human they may be, we also need to support those who lead the charge, including Jason & deMarco. Buy something from their online store, book them to perform in your community, and join their Facebook group. Earlier this month, clips of a taped television interview that gospel music sensation Tonex conducted for 'The Lexi Show' (on the Gospel network) surfaced on the Internet and caused a heated frenzy within the black religious industry. During the revealing conversation, the internationally renowned music superstar (nee Anthony Williams III) talked candidly about his homosexuality, his failed marriage and his thoughts on the black church. As expected, when someone touches upon such a taboo subject, it strikes a chord among others. But as the multiple Stellar Award-winning virtuoso tells it, in his very own words, it was a lot more than he ever bargained for. READ TONEX'S FULL TESTIMONY ON BLACK VOICES. "As I continue down this path of self-discovery, my prayer is that others will see that we are your sons, daughters, cousins, nieces and nephews silently crying inside, coping with fear and uncertainty. We need love and affirmation. We need to know that it's okay to talk about these issues in a safe family environment and that we will be respected not just for our art and talents but for the beautiful human beings that God created us to be. After all, He does not make mistakes. I would not be here typing had it not been for the prayers of the righteous and real friends who understand the challenge of taking the road less traveled. May we all show love toward one another. The greatest command is love another. Thank you for listening to my testimony." Subscribe to Shambhala Sun Magazine. 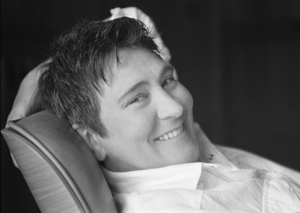 Buy kd lang's Buddhist-inspired album, Watershed. What freed her to be so open? "Cancer," she says, unhesitatingly. "The huge, big fireball that shoots you through fear. I ended up on the other side of that, and I thought, 'I did it! I went through chemotherapy! Look what I did.' And I didn't go through chemotherapy to not do what I love. So y'all can come with me or not. I'm having a blast." 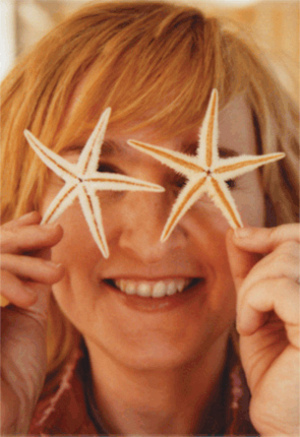 Etheridge acknowledges that her 2004 breast cancer diagnosis and subsequent treatment, understandably, brought some perspective to her life and achievements. While undergoing treatment, Etheridge revisited her past records start to finish, in order, over a period of weeks. "I would listen, stop and talk about it -- 'Gosh, I remember when I wrote that, when we recorded that, I remember why I wrote that.' "
From the later perspective, even such mainstays as "Come To My Window," the 1993 song from her multi-platinum album Yes I Am that rocketed her from star to superstar, were full of new revelations, as if the Etheridge of then was speaking to the Etheridge of now. "So when I started writing this album, I thought, 'If I'm going to be speaking to my future self, some day driving in a car and hearing myself singing on the radio, what would I be telling myself? What message was I saying to myself?' So I wrote down the line, 'I'm sending out a message to myself / So that when I hear it on the radio / I'll know that I am fine / I'll know that I am loved.' And it was that simple!" It was her own little artistic experiment in time travel, but other inspiration came from a growing interest in real matters of time and space. One day she strolled into a bookstore and in the philosophy section was drawn to Ken Wilber's A Brief History of Everything , which explores the intersection of quantum physics and spirituality. That set her on a path of more reading, more thinking and a lot of writing, some of the results providing key elements for The Awakening, notably "The Universe Listened" and the closing "What Happens Tomorrow?" "I told the universe I wanted fame and fortune and was given that," she says. "Then I wanted love and got that. The Awakening as an album is the spiritual side coming open." And The Awakening is - literally and figuratively -- the album of her life. Atoms, space and everything else. The universe listened to Melissa Etheridge.